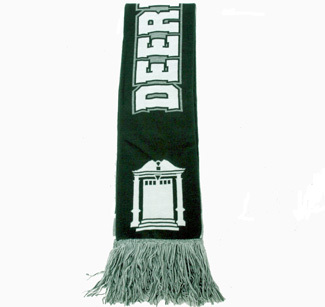 Reversible Fine-Gauge Scarf from LogoFit. Custom designed logos on each side have been knit-in. DEERFIELD on one side. 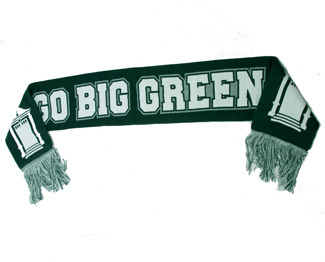 GO BIG GREEN on the other. Deerfield Doors on each end. 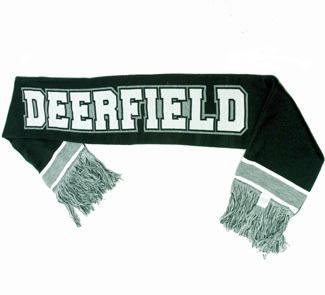 Warm and soft and so full of Deerfield Spirit! 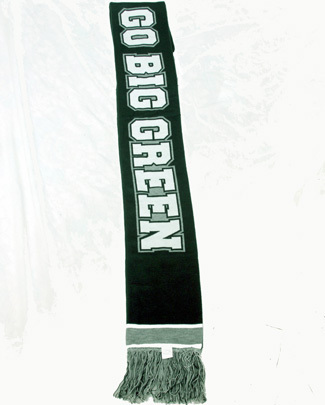 54" long with multi-color fringe at each end with a green, white and grey design on each side.